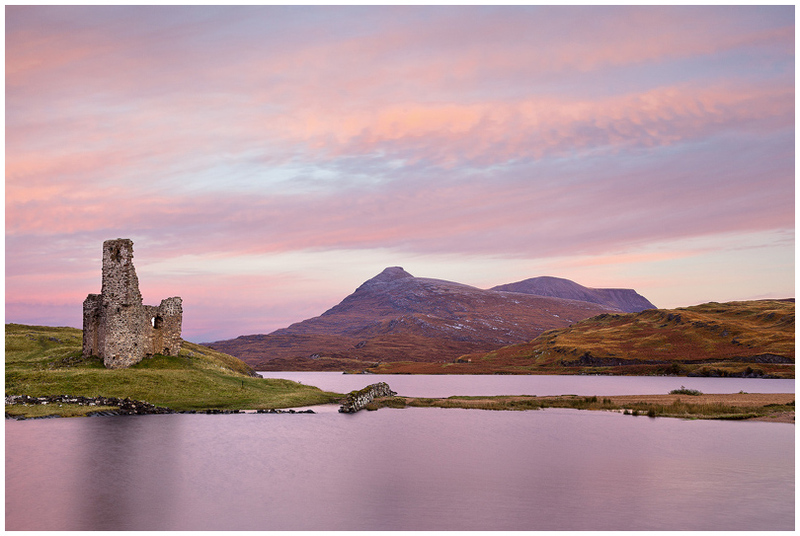 Above : The winter dawn gently colours the sky and reflects in the waters of (a very full) Loch Assynt around the ruins of Ardvreck Castle. Multi-peaked Quinag lies beyond. Image reference r96 © Angus Bruce, Ullapool. Below : A long exposure of almost one minute (courtesy of a Lee 10 stop ND filter) has artificially blurred the cloud and the surface of the loch, providing an artificial sense of calm on a stormy day. Aautumn colours glow on the hillside. 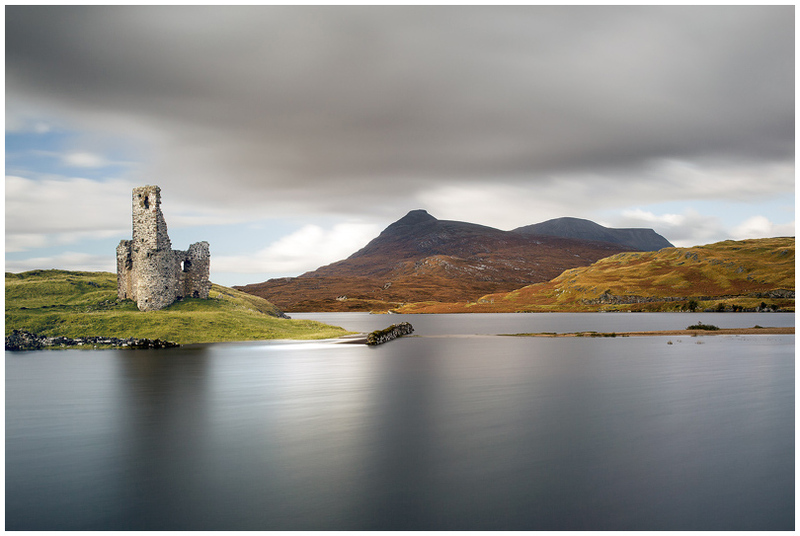 After torrential rain, Loch Assynt is unusually high, creating an island for the castle. Image reference r87. © Angus Bruce, Ullapool.